An unidentified man in his 70s was killed in a fatal Los Angeles train accident that occurred on November 29, 2010, around 9:35 a.m. at Francisquito Avenue, approximately 116 miles from San Diego. Sherita Coffelt of Metrolink said that train number 304 was heading from Union Station in Downtown Los Angeles to San Bernardino when it struck the elderly man’s car, killing him. The elderly motorist was pronounced dead at the accident scene by the authorities. Two passengers in the train also suffered injuries in this train accident and were transported to a nearby hospital for treatment. 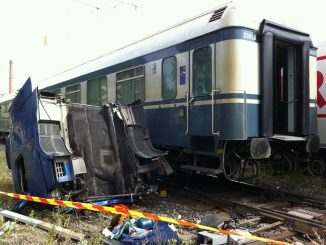 From the present facts, it is unclear as to how this train accident occurred. Did the train driver ignore a red signal? Was he distracted that he did not notice the victim’s car? At the same time was it the elderly person’s failure to observe safety signals? Was he unable to calculate the distance between his car and approaching train? If negligent operation by the train conductor caused this train accident, then the train conductor and his employer might be legally required to compensate the elderly person’s family for the cost of funeral expenses, loss of love and companionship, and other related damages. The deceased’s family would be well-advised to consult with an experienced Los Angeles personal injury lawyer who will advise them about their legal rights and options. An unidentified person was found dead on the Rancho Cucamonga railroad tracks on October 14, 2011, around 4:30 a.m. According to the San Bernardino County sheriff’s officials, the deceased was hit and killed by a Metrolink train. Amtrak police are investigating the collision. From the present facts, it is unclear as to how this train accident occurred. Did the train driver ignore a red signal? Was he distracted? Was the victim negligent and failed to observe safety signals? Was he drunk or attempting to commit suicide by this act? If negligent operation by the train conductor caused this train accident, then the conductor and his employer might be legally required to compensate the deceased person’s family for the cost of funeral expenses, loss of love and companionship, and other related damages. The deceased’s family would be well-advised to consult with an experienced Los Angeles train accident attorney who will advise them about their legal rights and options. Our law office offers sincere condolences to all those who knew the deceased for such a tragic loss. Roger Lee Bailey, 46, while trying to cross the train tracks in the North San Diego County city of Oceanside, was struck and killed by an Amtrak train on September 18, 2010 around 11:55 p.m. Oceanside Police Sgt. 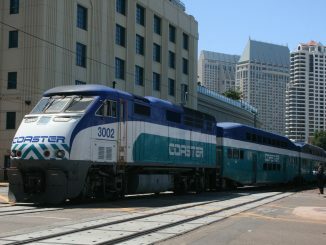 Travis Norton said that the man was trying to cross the tracks on the 200 block of Surfrider Way when he tripped and was struck by San Diego bound train. The train stopped at the accident scene to await investigating officers from San Diego County Sherriff’s Department. The exact reason of Bailey’s presence on the tracks is not clear, although it appears that he was trying to cross the railroad track and may have been trying to “beat” the train. It is also not clear whether Bailey was under the influence of drugs or alcohol or sober when this fatal train accident occurred. The exact cause of this injury accident still remains under investigation. 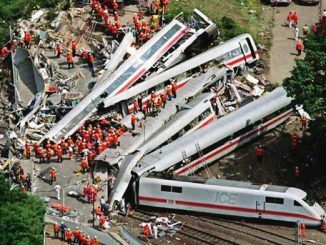 If it is found that the train driver’s negligence or inattentiveness caused this fatal train accident, then he and Amtrak might be held responsible for the victim’s death and may be civilly liable to pay the cost of his funeral, loss of earnings, and loss of love and companionship. More facts are needed to determine if this is the case. In the meantime, nothing can be said that would console or help Mr. Bailey’s friends and family in a time like this. The loss of a loved one is never easy but it is particularly hard when it happens in an accident where someone may be legally responsible for their death. Our thoughts and prayers go out to Mr. Bailey’s friends and family. We wish them peace. A young woman believed to be in her early 20s suffered serious injuries in a train accident that occurred on September 14, 2011, around 3:38 a.m. northwest of Magnolia Avenue and Neece Street in Corona. According to Sgt. Adam Roulston, the pedestrian suffered bumps, bruises, and a four-inch gash on one leg and was immediately transported to a nearby hospital to receive medical treatment. 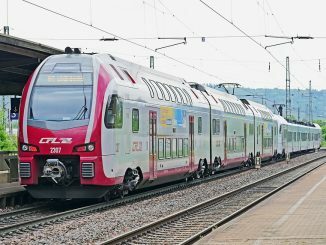 There is limited information about the accident and there is a possibility that the train driver may be responsible for the accident. Did he ignore a signal? Was he distracted and did not notice the pedestrian? The injured woman should immediately seek counsel from an experienced Riverside County pedestrian accident lawyer who would educate her about her legal rights and options and assure that the at-fault train driver is brought to justice. 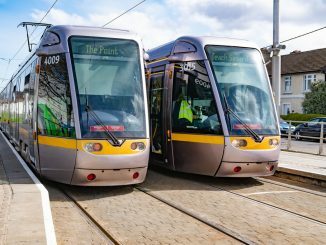 As for now, the injured pedestrian can file a personal injury claim against the at-fault train driver to obtain compensation to cover treatment, medical and hospital costs, loss of wages, loss of earning capacity, and other accident-related damages. Our personal injury law office sincerely hopes that the injuries suffered by the pedestrian heal soon. An unidentified 32-year-old man was struck by a BNSF train on September 8, 2011, around 7:41 a.m. near Bear Valley and Ridgecrest Roads, less than a mile west of Victor Valley Community College. According to San Bernardino County sheriff’s officials, the pedestrian suffered major injuries. The injured pedestrian was airlifted to Loma Linda University Medical Center to receive treatment for the injuries suffered. From the present facts, it is unclear as to how this train accident occurred. Did the train driver ignore a red signal? Was he distracted that he did not notice the pedestrian? Or was it the man who failed to observe safety signals? Was he unable to calculate the distance between him and the approaching train? If negligent operation by the train conductor caused this train accident, then he could be held financially responsible for the injuries caused to the pedestrian. Investigating officers need to determine what led to this serious pedestrian wreck and who is at fault. The injured victim should seek counsel with an experienced San Bernardino County pedestrian accident lawyer to obtain compensation to cover medical expenses, loss of wages, cost of hospitalization, rehabilitation, and other related damages. Trains are a great way to transport goods and people in a quick and efficient way. Regardless of the type, trains have the capacity to cause catastrophic accidents. In the past, many people have been seriously injured or even died from train accidents. We are skilled train accident attorneys. We have taken on train accident cases in the past and they have yielded successful results. Commuter and Freight Train Accidents in San Diego are Usually Very Serious and Even Deadly. Our San Diego Personal Injury Lawyers Can Help. Because of a train’s large size, it can be disastrous if you are involved in a train collision. Selecting an attorney is hard enough, but you must make sure you hire a competent train accident attorney if you or someone you know is injured or killed in a serious train accident in San Diego or California. Freight trains are what you generally think of then you think of a “train.” They carry all types of good and supplies to different cities. These trains are very long and have numerous boxcars. They can be very dangerous if they collide with a person or car, and the collision can often be fatal to anybody the train comes into contact with or for the operators and workers on the train. Trains are also used to transport people from one place to another via commuter train. 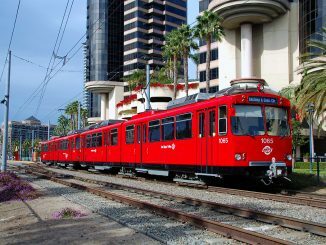 San Diego has a train system, most notably the North County Transportation District’s (NCTD) Coaster that runs from Oceanside to San Diego, that people can ride to different destinations. It is another form of public transportation that San Diego provides. 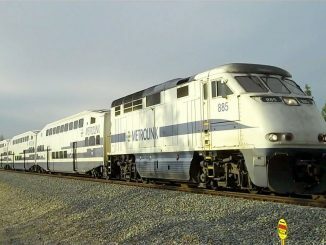 Many people use this train to travel to and from Downtown San Diego or use the Amtrak train system to travel to Los Angeles and Orange County. Although it is a great service, many passengers, cars, and pedestrians have been involved in a collision with the train in the past. What Can a Train Accident Attorney Do to Help? File a claim on your behalf. Help you find a good doctor and set up medical leins. Negotiate with the train company for an acceptable settlement. We are experienced train accident attorneys. Our San Diego personal injury law firm knows the ins and outs when it comes to handling your train accident claim. Our former clients can attest to the fact that we know how to handle train accidents. If you or someone you know is involved in an accident involving a train, please contact our office for a free consultation. 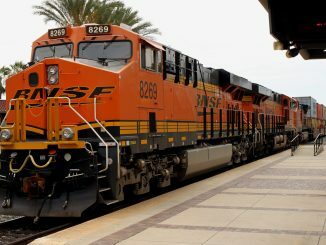 A 57-year old California man faced grave injuries in an Orange County train accident as he fell onto the tracks at a station in Irvine on February 23, 2010. Ironically, the man was hit exactly two weeks before by a train in Laguna Nigel in which he got dragged 90 feet causing amputation of his wrist. Although the man’s injuries are said to be serious, they are not life-threatening. He is also being mentally evaluated. Being struck by trains twice in two weeks indicates a heightened possibility that the man played a part in causing one or both accidents. He may have, in fact, been trying to commit suicide. However, such conclusions are premature and we have to wait for the treatment and evaluation to be completed. Trains are extremely dangerous. They have a huge mass capable of seriously injuring or killing multiple persons at one time given the speed at which they travel and that they cannot stop quickly to avoid collisions. It is always a smart idea to give trains and trolleys wide berth and to stand back away from train tracks when trains pass. A freight train accident claimed a man’s life in Oceanside recently, according to a news report from NBC San Diego. 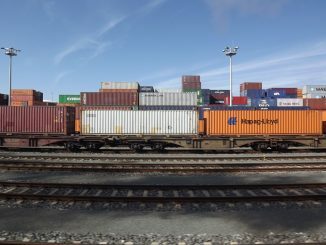 According to investigators, the man was walking on or near the train crossing at Mission Avenue when the freight train, operated by BSNF, struck him. At least one eyewitness was present at the scene of the crash, which occurred around 10 p.m. He reported that it looked like the man was trying to cross the train tracks as the train approached. The witness described the train’s whistle blowing and the train braking, but it was unable to stop before the collision occurred. Rescue workers rushed to the scene, but they were unable to save the life of the man struck by the freight train. A second person, who appeared to be accompanying the accident victim, was examined by rescue workers, but no report has been released on whether this person was injured. Railroad accidents in the United States are tracked by the Federal Railroad Administration (FRA). 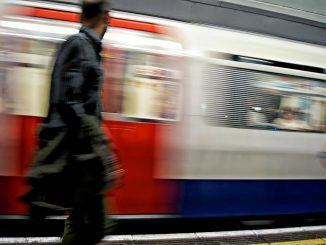 The FRA’s statistics show that, while collisions between trains and pedestrians are rare, they are almost always fatal. For instance, in 2012 the FRA recorded 89 total deaths in railroad accidents in California, including 61 deaths suffered by pedestrians on the railroad and 28 deaths suffered by railroad workers. Our practiced San Diego train accident wrongful death attorneys understand how devastating the untimely loss of a loved one can be. That’s why we’re committed to helping you get the compensation you and your family need after an injury or loss. To learn more about your legal rights and how we can help, contact us today. A person was fatally struck by an eastbound Metrolink commuter train on January 4, 2012, around 6 p.m. near Acacia Avenue. According to San Bernardino County coroner’s office, the pedestrian was struck by the train as he walked on the tracks. At this time, it is unknown whether the victim was a man or boy. Rialto police Sgt. Robert Smith said that identification process to take some time given the battered condition of the body. From the present facts, it is unclear as to how this train accident occurred. Did the train driver ignore a red signal? Was he distracted that he did not notice the victim? Or was it the victim’s failure to observe safety signals? At this time, the victim’s family members should immediately seek counsel from an experienced San Bernardino County train accident lawyer who would educate them about their legal rights. If negligent operation by the train conductor caused this train accident, then the train conductor and his employer might be legally required to compensate the victim’s family for the cost of funeral expenses, loss of love and companionship, and other related damages. Our personal injury law office sends sincere condolences to victim’s family members.